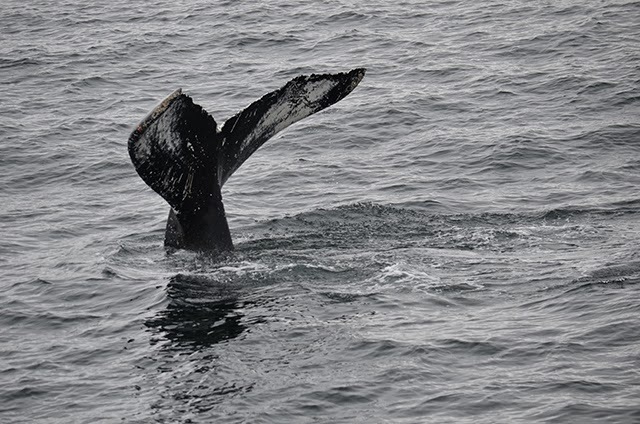 Today on the Asteria we had another great day of whale watching! On our 10am trip we headed to the NW corner and found two scattered groups of two humpbacks, traveling slowly through the area. We first came upon females Hancock and Shark, who were moving slowly and logging. At first the pair wasn’t fluking, but on our last looks both of them showed us their tail patterns. 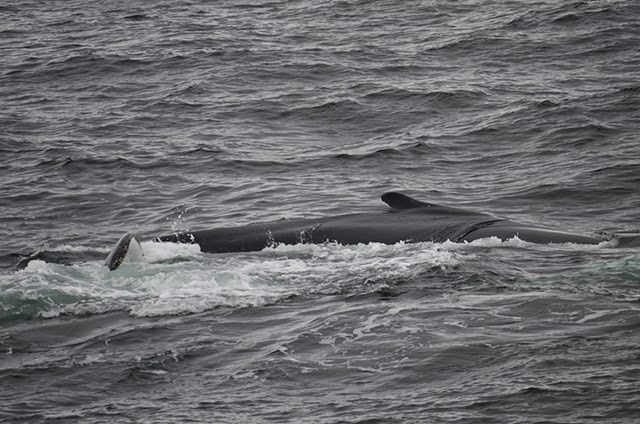 We then moved onto Victim and her calf, passing a minke whale on the way. 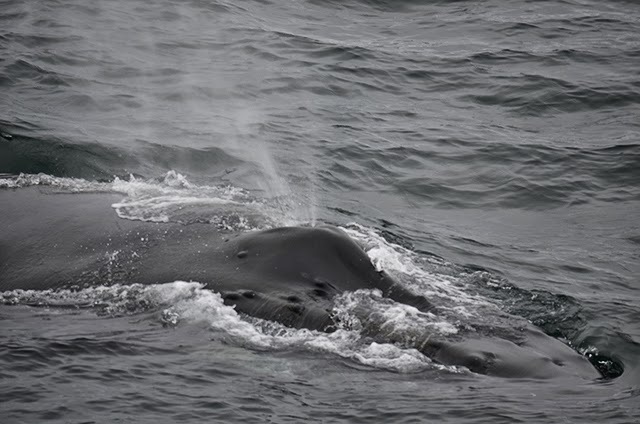 This mom and calf were also traveling slow and taking shallow dives. Near the end of our morning trip, the calf began exhibiting some rear behavior/tail rises, and then appeared to be nursing as it swam underneath Victim and bobbed on either side of her. On our 1:30 trip we headed back to the same area, and this time found a group that joined up of well-known female:s Pepper, Cajun, Hancock, and Shark. 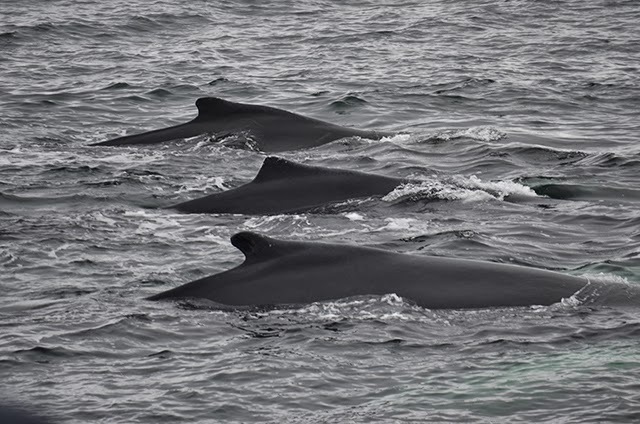 Pepper joined this slow-traveling group last – and of the four whales, she didn’t appear to be logging. 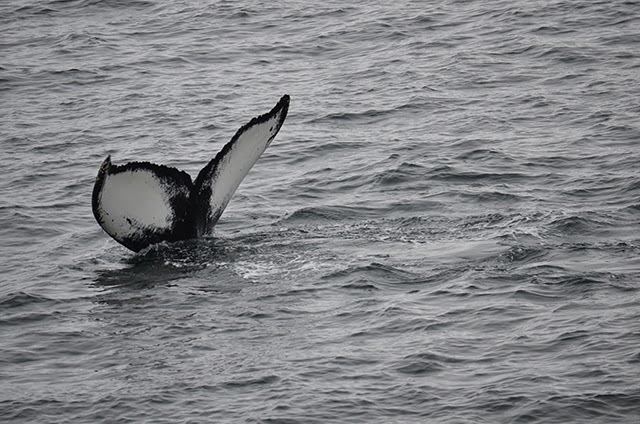 As Pepper joined the group, she began trumpeting and the whales began to wake up, except for Cajun who lingered in the back of the group and logged at the surface. She also rolled a bit too. Overall we got spectacular looks at this group as they approached our boat closely (see photo of Cajun’s spout) – making it an outstanding afternoon on the water! We also spotted a few harbor seals resting at the surface.